The Alaskan Muse: "Life Is Like A Piano"
I recently stumbled across this quote and I absolutely love it! If anyone knows the original source please let me know. 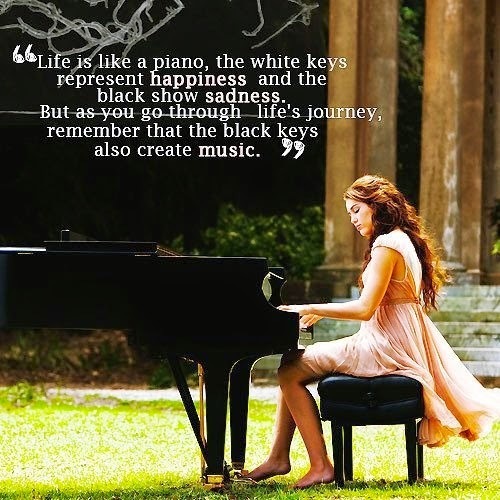 "Life is like a piano, the white keys represent happiness and the black show sadness. But as you go through life's journey remember that the black keys also create music."